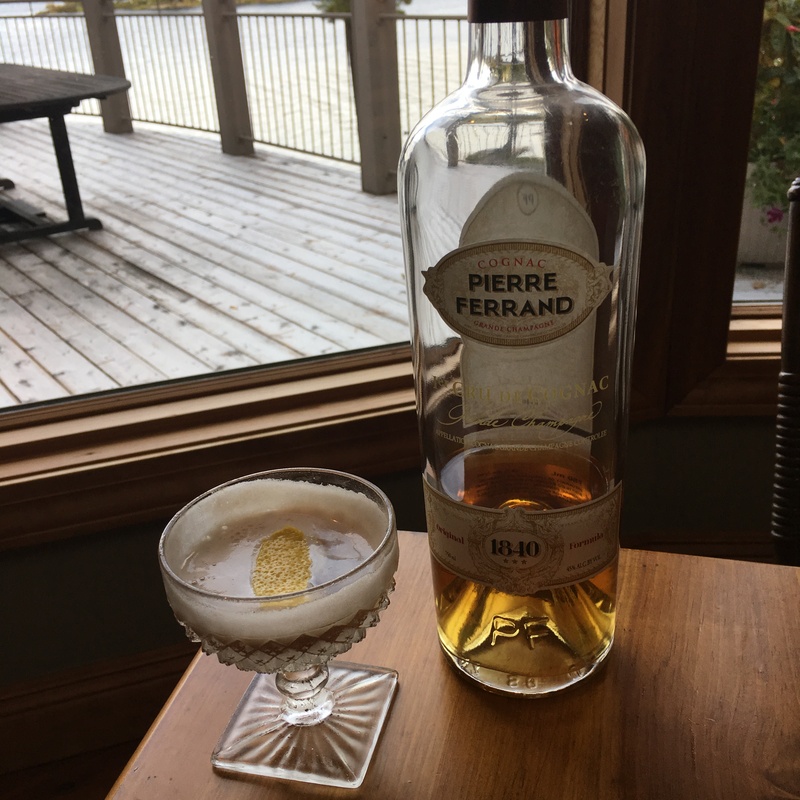 Although I don’t use nuts in cocktails often, they add an ethereal earthiness not found in other ingredients. I first sampled the Madeira Sour at the incredible Seymour’s at Zetter Townhouse Marylebone in London. I wasn’t given the specifics by the bartender, so this my best take at the original. The drink is wintry, and therefore best served on a cool day by the fire. I find it the perfect mix of the sophistication of the walnuts and Madeira with the tartness of the lemon and mouthfeel of egg white. Prepare your guests for the walnut, however, as they may otherwise be put off by their first taste. There are two keys to making this drink, do not over-infuse the roasted walnuts in the lemon juice (you will otherwise inadvertently create a milky walnut orgeat), and do not overheat the Madeira wine. Dry roast 2-3 walnut halves for every 2 oz lemon juice in a fry pan until just browned. Let cool and then add to the fresh lemon juice. Swirl and infuse for about an hour. To flash the Madeira, place in the same fry pan and bring close to a boil and then let cool. It’s that easy. All the ingredients are readily available. Dry shake egg white, add liquid ingredients and dry shake again. Add ice and shake. Fine strain over a goblet/sherry glass.